Between the Department of chemical physics of nanomaterials of Physics faculty of Baku State University and Complex Matter Physics, Institute of Condensed Matter Physics, EPFL (LCMP/EPFL) carried out joint scientific research funded by Swiss Science Foundation program SCOPES (Project - IZ73Z0128068). The next seminar of faculty will be happen in 22 june at 10:30at the auditory of 437. Professor Eldar Masimov has been awarded the gold medal of Europe and with the quality of the diplomas of the European Chamber of Industry (AESP). Professor Faculty of Physics, Eldar Masimov has been awarded the gold medal of Europe and with the quality of the diplomas of the European Chamber of Industry (AESP). There will be the next seminar of Physics faculty on 18.12.12 at 1100 in the auditoria the number of 111.The professor of the department of Astronomy of the Faculty of Mechanics and Mathematics of Saint-Petersburg State University Alexander FyodorovicXoltiqin will be reported at this seminar. His theme will be the "The determination of planetary parameters of obscurities and chemical evolution of the galaxy". The next science seminar of the Physics Faculty was happen on 24 of November. 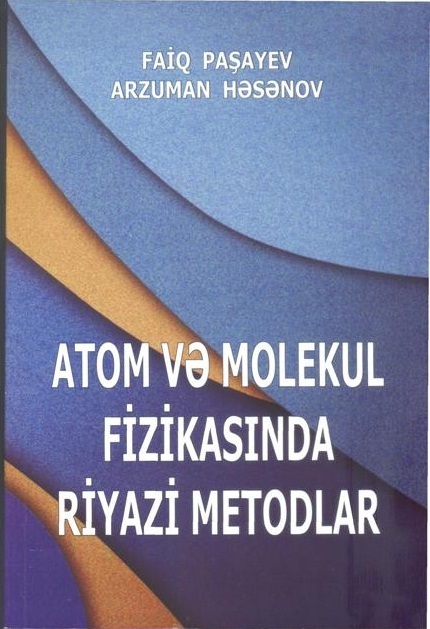 At the seminar, Professor of the Department of General Physics R.C.Qasımova reported on the topic of "Metamaterials SHG"
The next monthly scientific seminar of masteres of Physical faculty was held on 20 November in 2012 at 1000 in the class number of 111.In this seminar the dissertation works of following 5 masters of second year was discussed. On November 8, 2012 a seminar titled “From Little Bang to Big Bang” was held at the faculty of physics of the Baku State University (BSU). Dr. Anar Rustamov from the Goethe –University Frankfurt reported on fundamental problems in particle and heavy-ion physics in view of the ongoing activities at CERN. In particular, experimental searches for the onset of deconfinement and chiral symmetry restoration were highlighted. In this context the physics program of the NA61/SHINE experiment at the CERN SPS was presented. Nearly 50 scientists from BSU, the Institute of Physics of National Academy of Sciences, and the Shamahky Astrophysical Observatory attended the seminar, which was followed by fruitful discussions.